The Diablo Wall School 10.2mm has been developed specifically for use in indoor climbing gyms, featuring a large diameter that makes it easy to handle and the UNICORE treatment adapted for greater resistance from repeated belays and low impact falls. The UNICORE treatment also increases the Wall School 10.2mm's endurance against sheath slippage, meaning the rope’s sheath is much less likely bunch up in places making it difficult to pass through belay devices. (Often happens to indoor gym ropes that have been subject to a lot of top roping.) 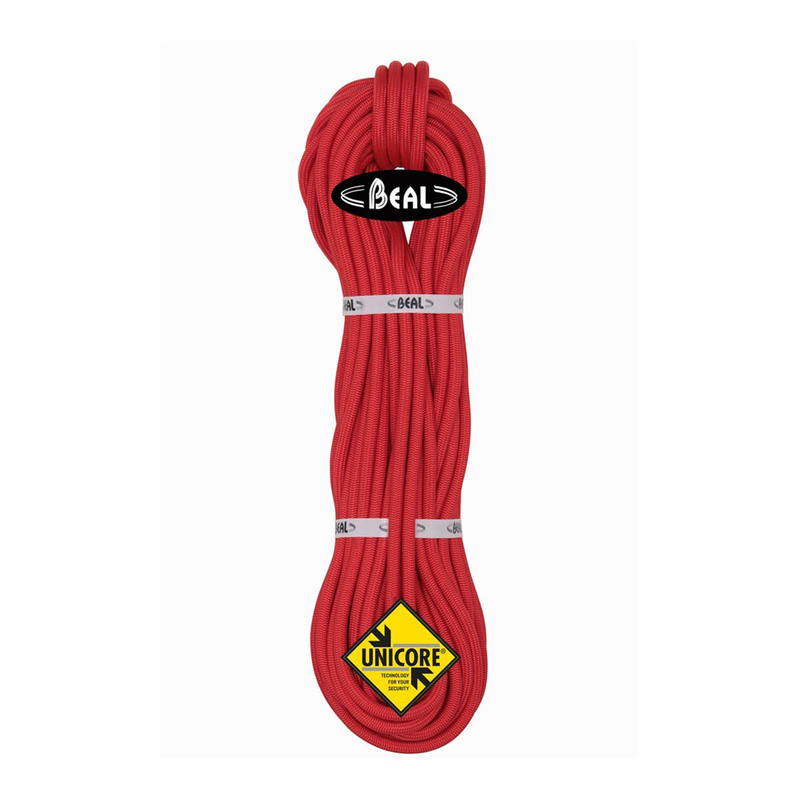 Beal use the UNICORE treatment when they want a rope to maintain its original performance after hard use, and will achieve this much better than non-UNICORE ropes. An infrared treatment which stabilises the sheath fibers and therefore makes yarns more homogeneous. The result is a more compact rope with better handling qualities.